Recent developments in the world of live streaming hint at how that could start to change, however. As noted in a previous post here, the NFL choose Twitter over larger rivals to live-stream Thursday Night Football games next season in part because the league is keen to learn how fans engage with the content and with each other when the content is embedded on a natively social platform. Notably, the league’s broadcast partners for the games, NBC and CBS will also live-stream the games, giving the league the opportunity to compare the social media experience with a more traditional, linear online experience. Facebook, which was also angling for the Thursday Night Football package before dropping out of the bidding, is also banking on the advantages of a natively social platform to enhance the appeal of watching live content via Facebook Live. 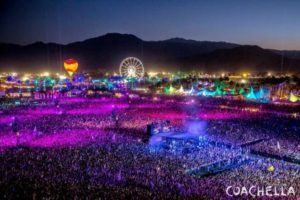 At the National Association of Broadcasters convention in Las Vegas this week, YouTube announced it will support 360-degree live-streaming beginning with next week’s Coachella music festival. Viewers watching on a mobile device will be able to enjoy a full, 360-degree panoramic perspective on the event simply by moving their device around, much as virtual reality goggle let you see in 360 degrees by moving your head. Thanks to the ability to implement 360-degree video on existing Android and iOS mobile devices, moreover, consumers don’t even need to invest in new devices or equipment to enjoy those enhanced capabilities. All they need to do is download the latest YouTube app. YouTube is also introducing a feature it calls spatial sound that creates a 360-decree aural space, further enhancing the live viewing experience. Live-streaming specialist NeuLion also showed off its 360-degree chops at NAB, including the ability to sync a 4K live stream across a connected television, a PC and a mobile device, allowing viewers to switch their perspective seamlessly between the 4K main action on the big screen to a 360-degree view using their mobile devices. Online video platform Anvato also announced support for 360-degree live streaming at NAB. What all of these developments show is that the tools available for creating engaging, immersive and shareable experiences around live events online are beginning to outstrip what’s possible on traditional linear platforms. Live streaming still has its challenges, of course. Streams still freeze and rebuffer, and can lag behind the real-time action by a minute or more. But if you squint a little, it’s possible to envision a future in which viewers and advertisers alike come to the regard the online experience of live events — in 360 degrees, with spatial audio, and embedded in your own social graph — as the reference version, leaving the traditional linear broadcast presentation looking like the poor cousin. Given how much money is still riding on the linear version, both broadcasters and rights owners need to be careful not to usher in that future too soon.